Nutrition Healthy Food Protein Shake Before or After a Workout? Workout Protein Shake Before or After? The most people drink their protein right after the workout. But what is better? The nutrients you ingest around your workouts are extremely critical to developing and refining your physique. Taking protein (esp. BCAAs) before a workout can be very beneficial during a low-carb diet. Skipping a pre-workout protein is skipping a chance to support intra-workout anabolism. Pre-workout protein most likely increases amino acid delivery and uptake by muscles during training. In 2007 The Journal of Strength and Conditioning Research published, that starting your workout nutrition with a protein-and-carbohydrate shake 30 minutes prior to exercise led to a significant reduction in cortisol up to one day following the training session. 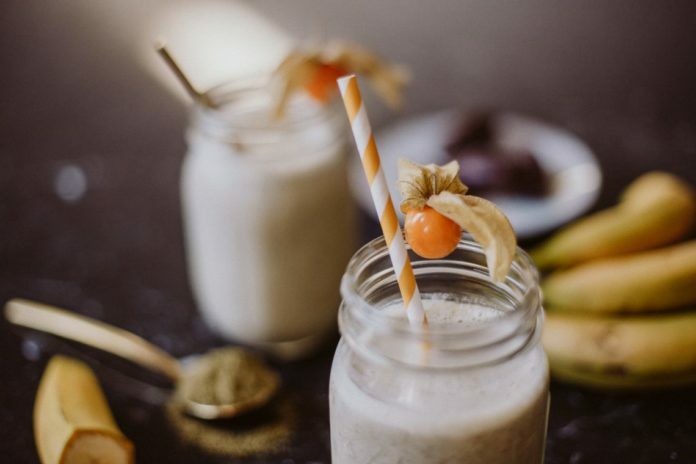 If you getting adequate dietary protein throughout the day you can drink a protein shake after your workout, if not – you should better have one pre-workout. A study published in Medicine and Science in Sports and Exercise found that one scoop of whey protein before the workout increased calorie burning over the subsequent 24 hours. Previous articleWhat Are the Benefits of Deadlifting? Next articleHow Long Should a Warm-Up Last?